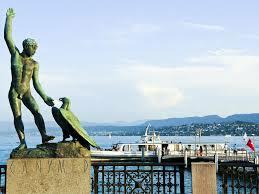 The largest city in Switzerland, Zurich has a wonderful location lying at the north end of Lake Zurich in the north. It is a global center for banking and finance. 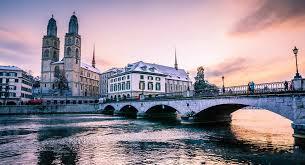 Its Old Town lies on both banks of the Limmat River and the city has lovely waterfront promenades for strolling. 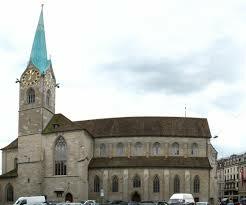 The twin towers of Gorssmunster are Zurich’s landmark. This cathedral was founded by Charlemagne in the 9th century. It sits right across the river from Fraumunster. Inside you can see stained-glass work by Augusto Giacometti. For spectacular views you can climb the southern tower, the Karlsturm. The 13th century Fraumunster cathedral is known for its stained-glass windows that were designed by Russian-Jewish master Marc Chagall. He created a series of five windows in the choir stalls in 1971 and the rose window in the southern transept in 1978. The rose window in the northern transept was created by Augusto Giacometti in 1945. 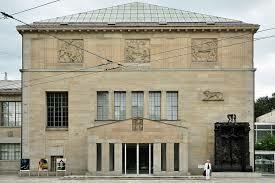 For a look into Swiss history visit the Swiss National Museum. It is housed in a building that looks like a combination of a mansion and a castle. Their permanent collection takes you back into Swiss history with exhibits that range from intricately carved and painted sleds to household and religious artifacts. There is a series of historical rooms that span six centuries. In 2016 the museum will have a new archaeology section and a brand-new wing. 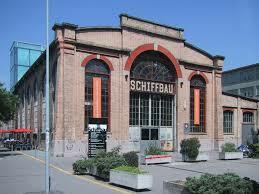 The Schiffbrau is symbolic of the renaissance of once-industrial western Zurich. This was once a factory that turned out lake steamers. Then in 1992 the building was transformed into the Schauspielhaus, a huge theater with three stages. Here you will also find a most stylish restaurant – LaSalle, an upstairs bar – Nietturm and a jazz den – Moods. You can see the 13th century tower of St. Peter’s Church with its prominent clock face from any vantage point in the city. Its clock face is 8.7 in diameter and counts as the largest in Europe. Inside are choir stall dating back to the 13th century but the rest of the church was redone in the 18th century. 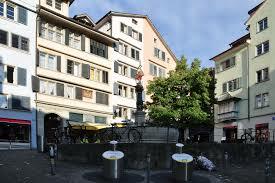 Below the church is one of Zurich’s picturesque spots – St. Peterhofstatt, a charming cobbled square with an old tree. 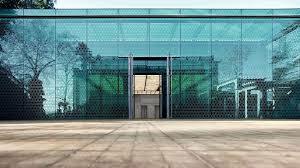 Visit the city’s fine arts gallery Kunsthaus. Here you’ll find a collection of European art from the Middle Ages mixed in with the Old Masters and Alberto Giacometti’s stick figures. 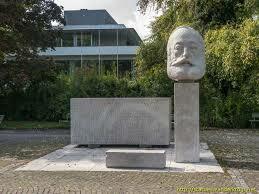 There are also Rodin sculptures and other 19th and 20th century art works. 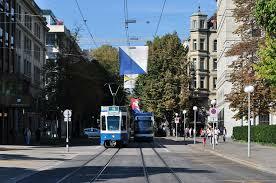 The perfect place to do some window shopping and note the fashions passing by is Bahnhofstrasse. Beneath this street are bank vaults holding gold and silver while above ground you’ll find luxury shops that sell watches, clocks, chocolate, furs, porcelain and fashions. The Museum Rietberg is housed in three villas in a leafy park. It has an impressive emerald green entrance. Here your eyes can feast on African, Oriental and ancient American art. The museum’s permanent collection is often complimented by temporary exhibitions. Josefswiese is a great park in the city for recreation. It offers a large playground for children, a lawn and mature trees, a large gravel area beach, volleyball courts, benches to relax on and a kiosk for snacks and drinks. In the play area children have a fountain in which they can splash in the summertime. Lake Zurich is slightly banana shaped. On the southern side the lake is flanked by the Albis and Zimmerberg Hills and on the northern side by the Pfannenstiel chain of hills. The lake is bordered by the cantons of Zurich, St. Gallen and Schwyz. The city of Zurich lies on the lake’s western end. 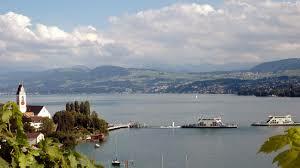 The most popular places to visit around Lake Zurich are various swimming areas, the Alpamare in Pfaffiko – the largest covered water park in Europe, the islands of Ufenau and Lutzelau and the metropolis of Zurich among others. 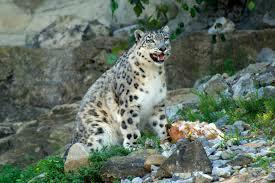 For children and for grownups a fun place to visit is Zoo Zurich & Masoala Rainforest. At the zoo you’ll find more than 360 different animal species. Such wonderful sights like snow leopards in their rocky Himalayan landscape, Andean bears climbing in their mountain cloud forest and giant tortoises searching for food in the Maosala Rainforest. Of interest to visitors is the new Kaeng Krachan Elephant Park where you can see the elephant family with baby Omysha (born June 2014) playing in the sand, splashing and swimming. Their outdoor complex was built to resemble their natural Thai environment. 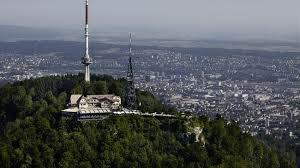 Zurich has its own “mountain” called Ueliberg. From the top there are lovely views of the city and lake and on clear days you can get a look at the Alps. At 2,850 feet above sea level this mountain looms over the rooftops of Zurich. It is most popular in November when its summit is above the fog which can cover the city at this time of the year. In the winter the hiking trails are turned into sledding runs. In the summer people enjoy hiking and there’s a mountain bike route. Take the Planet Trail, a two-hour walk from Uetliberg to Felsenegg which will have you going through a model of our solar system. For a unique shopping experience head for the Freitag Tower. This is a tower of containers right in the center of Zurich-West. Here the cult label Freitag presents its original bags. 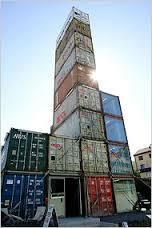 There are 17 freight containers piled one on top of the other rising 85 feet into the sky. The store offers 1,600 uniquely designed bags spread out over four levels. This counts as the largest selection of “Individual Recycled Freewaybags” in the world. They come in all sizes and colors. All of the bags are unique and handmade of truck tarpaulins, bicycle inner tubes, seat belts and airbags. From the rooftop you can get a bird’s eye view of the city’s industrial district. You can enjoy views of Lake Zurich from the Burkliterrasse. This is part of the lakeside park area and opened in 1887. It is a great spot to relax in the shade. In clear weather you can see right across the lake to the Alps. Since 1952 the terrace has been home to the Ganymede sculpture. The sculpture features the figure of Zeus (the eagle) and his lover, Ganymede, shown being taken up to Mount Olympus. In Greek mythology it says that Ganymede, who was the handsome son of a king, was abducted by Zeus and taken to the top of Mount Olympus. This is the creation of Hermann Hubacher and symbolizes man’s longing to ascend Mount Olympus. The artist emphasized that his sculpture was “not a Greek Ganymed but a Swiss one”. In front of the Burkliterrasse is a boat harbor from which visitors can take a cruise on Lake Zurich. 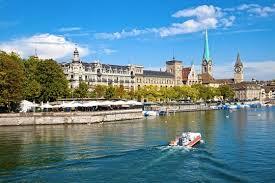 One can also take an enjoyable cruise on the River Limmat past the lovely sights of Zurich’s Old Town. The cruise takes people from the National Museum up the river to Lake Zurich and back again. 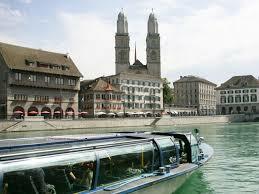 The motorized boats “Felix” and “Regula” were named for Zurich’s patron saints. The boat “Turicum” bears the city’s ancient Roman name. All of the boats have glass roofs so that everyone can enjoy the views. The river cruises operate from between April and October. Part of the Old Town Niederdorf offers interesting sights, delicious food and shopping. The residents call the area “Dorfli”. It includes the entire Niederdorf and Oberdorf area extending as far as Bellevue. This is a pedestrian zone with lots of stores. At night it offers a vibrant nightlife with bars and street artists. The ever popular “Dorflifascht” takes place offering DJs, market booths, great food and attractions and is open till the end of August. 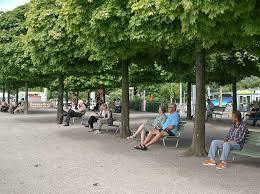 People enjoy the lakeside park area enclosing the lower basin of Lake Zurich with a wonderful promenade. Strolling became fashionable in Zurich around 1800. 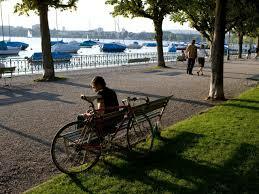 At this time the lower basin of Lake Zurich was made into the largest continuous public park grounds at that time. 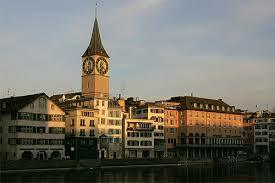 This was when Zurich changed from a small city along a river to a big city by the lake. From the outlook terrace Burkliplatz in the middle of the lakeside promenade you can see other lakeside park areas. At the end of Seefeldquai is the China Garden Zurich which was a present from Zurich’s partner city Kunming. 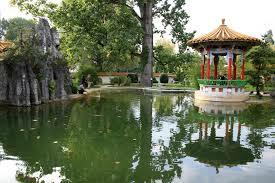 The Chinese Garden is a temple garden and one of the highest-ranking gardens outside of China. 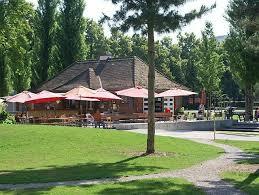 It is located right by the lake at the Zurichhorn. At the center you’ll find a pond with a small island, pavilions and a small palace. There is a bust of the most successful Swiss writer Gottfried Keller of the 19th century looking out over Lake Zurich from Mythenquai. Among his popular novels are “Green Henry” and “The People of Seldwyla”. 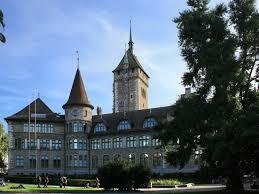 He accepted a job as writer-in-residence for the canton of Zurich. The writer also went into the political arena but during his 10 years in office had little time to write. You can see an impressive bronze statue of the former mayor Hans Waldmann near the Munsterbrucke Bridge located between the Gorssmunster and Fraumunster churches. Waldmann was a military leader achieving fame when he and the Swiss Confederates defeated Charles the Bold in the Burgundian Wars in 1476. 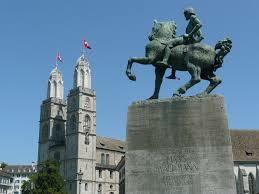 He became mayor of Zurich in 1483. He was executed six years later when farmers couldn’t accept his land reform policies and demanded that something be done about this. The bronze statue is the creation of Hermann Haller.